Arcana X 2nd Assignment: Bitter Suites to Succubi Chapter 10!! 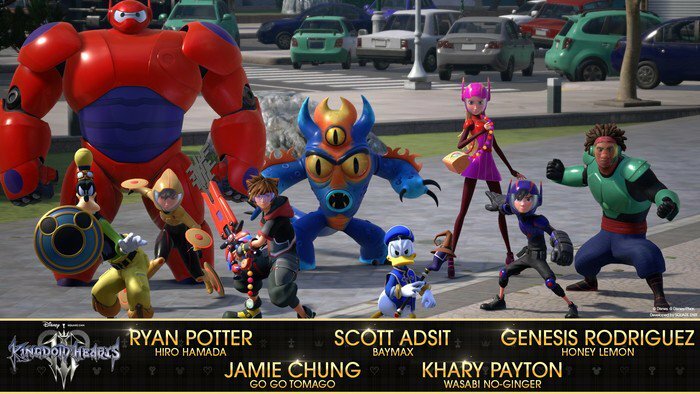 Voice actors from Big Hero 6 reprise their roles in Kingdom Hearts III!! Kingdom Hearts III is shaping up to be the best in the series by taping into more Disney movies than ever before. The official Twitter account for the long awaited sequel ten years in the making announced that the original cast from Big Hero 6 will be returning to their roles for the game. The third entry in Disney/Square Enix collaboration launches for PlayStation 4 and Xbox One in Japan on January 25, 2019, followed by the Western release on January 29. Confirmed worlds include Monsters Inc., Frozen, Big Hero 6, Tangled and the return of Olympus Coliseum. Game series director Tetsuya Nomura said during Tokyo Game Show in September that Kingdom Hearts III is “most definitely not the end of Kingdom Hearts. I’d like to continue Sora’s story.” Nomura again confirmed that the game will be the final game with Xehanort as the main enemy. Nomura also revealed during the event that the game will have a secret movie, but the staff are still deciding on how to implement the secret movie into the game.